Okay, a few moments ago I caught part of the Labour party’s new party political ad powerfully defending the NHS and attacking Tweezer and the Tories for its privatization. It featured actors taking the part of patients, doctors and hospital visitors talking about the perilous and shameful state the heath service is in thanks to the Tories’ cuts and privatization campaign. Interspersed with these were truly terrifying statistics. Like 7 million cancelled operations last year, the closure of 450 GP’s surgeries, £9 billion worth of contracts given to private healthcare firms, £7 billion cut from NHS budgets since 2010, and teenage suicides up by 50 per cent. And although the parts were played by actors, the stories they told were real. One doctor talked about how upsetting it was that she had to send parents half way across the country so that their child’s eating disorder could be treated. The various patients featured in the broadcast spoke about hospital overcrowding and patients being left in corridors. They spoke of their disgust that this was happening in one of the richest countries in the world. One black lad, playing a hospital visitor, said how he was most disgusted by nurses running down the corridor, having to rush out and pay a parking meter so that people could visit their loved ones in hospital. The black woman doctor said how she had heard fair words about treating mental health, but the reality was that social care budgets were being slashed all the time. They also lamented how people were being sent to hospital casualty departments because they couldn’t see their doctor. 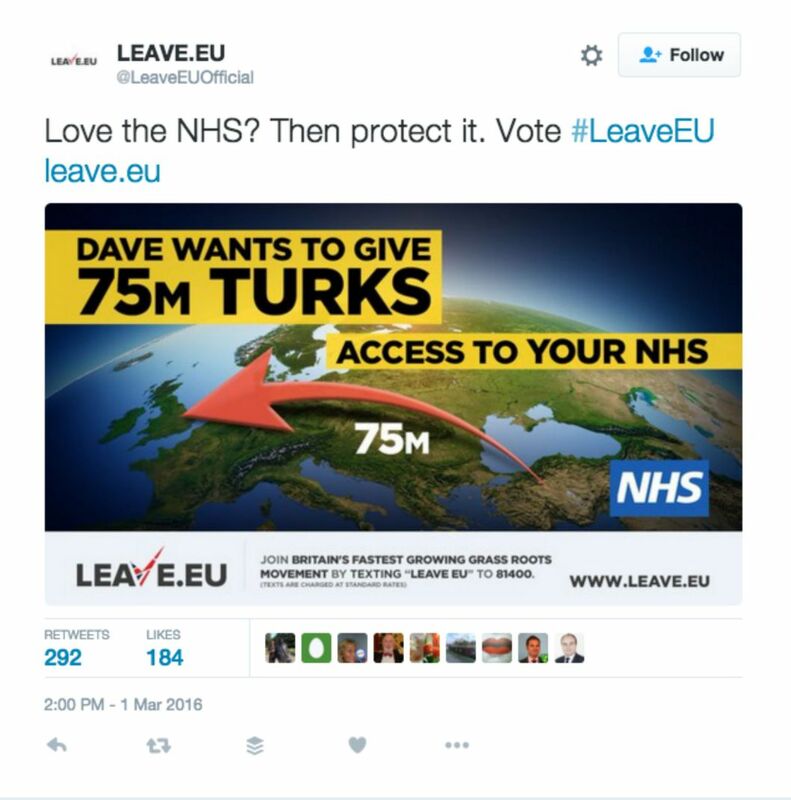 And the advert said openly what this was all really about, but what the Tories are desperate to hide from us. One of the patients declared that this was about the Tories’ selling off the health service to their friends. The Tories deny it, of course, but this is the truth. 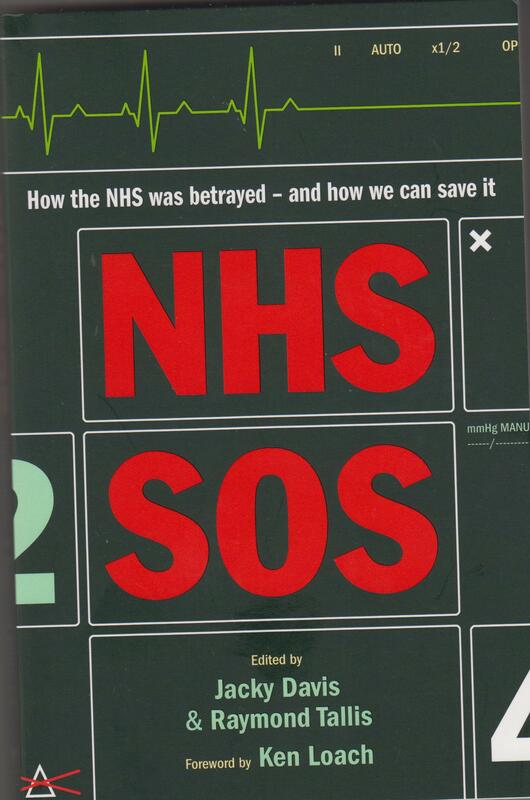 It’s laid out very clearly in a number of books, like NHS SOS, edited by Jacky Davis and Raymond Tallis (London: One World 2013). I’ve got a few copies here, so if anyone wants one, let me know and I’ll post them to you. The cost will be as stated plus that of postage. Labour’s pro-NHS advert is one that desperately needed to be made. It could have come from the NHS Action party, which was formed when Blair started privatizing the NHS and closing hospitals, following the political and economic ideology of his heroine, Maggie Thatcher. It’s great that the party that founded the NHS, the party of Clement Attlee and Nye Bevan, should now have returned to its socialist roots and pledging to end its privatization and give it some real, proper funding. But this was always the policy of Jeremy Corbyn and his supporters in the Labour party. I found this short video from RT’s Going Underground on YouTube, put up on January 19th, 2019. It shows a woman, who is then joined by a man, walking through a suburban residential district, while Corbyn’s voice intones about a country that believes in fairness, in shared ideals, while they walk past a street named after Clement Attlee. Rattansi was also discussing the massive defeat that day of Tweezer’s motion on Brexit, the biggest defeat for a post-War prime minister. It shows one MP saying in the debate that the chamber was once the seat of Clement Attlee and Winston Churchill. Now it’s just a farce. From that, Rattansi goes to talk about the late British WWII hero, Harry Leslie Smith, who made it very clear that he supported Jeremy Corbyn. This is followed by a clip from what looks like Channel 4 News when, speaking from Ontario, Canada, Smith said that Corbyn reminded him of Clement Attlee in 1945, and he thought that if Corbyn put his shoulder to the wheel he’d change England for the better, just like Attlee did. Which to my eyes doesn’t seem to go down terribly well with the presenter, who appears to purse her lips tightly and suppress a smirk when he says this. I’ve no doubt that over the following days and weeks we’ll get the Tories claiming that they’re putting more money into the NHS than ever before, loudly deny that they’re privatizing it and declare that they’re going to increase funding. Mike in his articles has taken apart these claims, showing that budgets are still being slashed, despite the Tories’ statement that they will increase funding and Tweezer’s vaunted vision of the NHS for the next decade. Just like Thatcher’s claim that ‘the NHS is safe with us’ was a lie, when in 1987 she was very much thinking about privatizing it, and then under John Major the Private Finance Initiative was introduced with the connivance of American insurance fraudster, Unum, in order to open it up to private industry. I’ve also no doubt that we’ll be hearing more screams about how Labour is viciously anti-Semitic, or that Jeremy Corbyn is losing young voters because of his stance on Brexit. More lies and slurs, as you’d expect from the Blairites in the Labour party, who are utterly complicit in the Thatcherite privatization programme, and the Tory establishment and media outside. The reality is that the Tories are determined to privatise the NHS, and with a few rare exceptions, the lamestream media has been complicit in it. There’s an entire chapter in the Davis and Tallis book describing how the Beeb actively promoted the Health Service’s privatization. Don’t be taken in by the Tories and Blairite’s lies and smears. Only Jeremy Corbyn can be relied on to save the NHS, and so it’s vitally important to support him in the Labour party and get him into No.10 and Tweezer out. I’ve reblogged many articles and videos commemorating the people, who’ve died in hunger and misery thanks to the Tories’ wretched welfare policies. There have been pieces by Johnny Void, Mike, Another Angry Voice, Stilloaks and many, many others, which have given the names of some of these victims and brief descriptions of the circumstances in which they died. This is another of these videos. It was originally produced by Jack back on YouTube, and then reposted by Democratic Socialist, an Aussie YouTuber, who argues with various right-wing idiots about socialism and the nature of capitalism. And some of them are truly mind-boggling stupid. One British Conservative, who put up a video attacking a pro-socialist video, stated in his own that he didn’t know, who Nye Bevin was. Democratic Socialist in his own critique of the Tory’s video pointed out how ridiculous it was that he, an Australian, should have to point out to him that Nye Bevan was the founder of the British NHS. ‘We will make Britain a country that works not for the privileged few, but for everyone of us. That will be the mission of the government I lead, and together we will build a better Britain’. This is then followed by the brief descriptions of some of the victims of the Tories’ welfare reforms, which has seen seriously and even terminally ill women and men thrown off their benefits after being assessed as ‘fit for work’, first by ATOS and then by their successor, Maximus. It has also resulted in desperately poor people being sanctioned and denied benefits by the Jobcentre for the most trivial of reasons. Many of the people in the video died by their own hand, unable to bear the misery and starvation any more. Although they killed themselves, the ultimate responsibility for their deaths lies with Conservatives, who instituted the policies that created their desperate poverty. ‘These are some of the people who got the media’s attention. There are many more that didn’t’. Quite. The last thing I read, it was heading for around 700, though I can’t remember the precise figure. And there are many more, who are keeping body and soul together only through food banks. Enough’s enough. The time’s long past that this government should have been forced out. It’s time an election was called and the Tories voted out of office before they murder any more of the poor, sick and disabled. Tories Manufacture Dispute with GPs to Destroy NHS. Again. Mike over at Vox Political today posted a truly chilling story for everyone who genuinely believes in and supports the NHS. He quotes a former deputy chair of the British Medical Association, Dr. Kailash Chand, as saying that doctors are now so sick and tired of being scapegoated by May and her lickspittle puppet, Jeremy Hunt, that they are considering disaffiliating from the NHS. Doctors are rightly annoyed at being blamed by the Tories for the crisis caused by the underfunding of the NHS. Mike’s article also reports that they are also angered by May’s demands that they run a service from 8 am in the morning to 8 pm at night, seven days a week. If they do not do so, they will losing their funding. Unless they say that there is no demand for it from their patients. “I think making this particular statement at this minute is essentially scapegoating. [May] has got to find something, she can’t blame [the health secretary] Jeremy Hunt for this, or her own government. Mike in his article makes the point that this is exactly what Theresa May wants and will bring the prospect of a private, for-profit health system like that in America closer. He makes the excellent point that tyrants like May should not be given what they want, and recommends that doctors should set up charities as a way of blocking her plans to foist this on the economy. This isn’t a perfect solution, but it could be an effective stop-gap until a Labour government is elected that will renationalise the NHS. Theresa and her Tories must be defeated here. Much more depends on it than simply the NHS in England (and Wales, Scotland and Northern Ireland, whose funding is dependent on the English service receiving cash). Let’s have a contingency plan ready, for the moment the worst prime minister in UK history does the worst thing she possibly can. Because I think she will. Right-wing governments, including that of Tony Blair, have wanted to privatise the NHS for a very long time now. Thatcher wanted to do so in the 1980s, but was stopped by a cabinet revolt, and by finding out just how bad the American system. Nevertheless, she still wanted 25 per cent of the British population to take out private health insurance. And she also tried again to moot its privatisation a few years later. John Major introduced the PFI scheme specifically so privatise enterprise could take over the construction and management of hospitals. It had nothing to do with efficiency or savings, and everything to do with allowing his paymasters in private health the opportunity to profit from this part of the state economy. And after his government was replaced by New Labour, Blair introduced a series of reforms which were further intended to privatise the NHS. Apart from granting more contracts to private firms and hospitals, he also wanted to replace GPs’ surgeries with polyclinics or walk-in centres, which were also supposed to be privately run. He also set up Community Care Groups, of local GPs, to manage doctors’ surgeries in the area. These were intended to have the power to arrange treatment from private healthcare providers. They are also able to opt out of the NHS, and raise money as private healthcare firms, if they so choose. Now May and Hunt are deliberately stirring up a dispute with doctors, so that many will leave the Service altogether. Many parts of the country, including my own in south Bristol, have trouble finding staff thanks to the contrived departure of many medical professionals due to Tory policies. This is another attempt to force even more out. This is not something that May’s just dreamed up out of the blue either. She’s taken a leaf from that other great Tory leader, Maggie Thatcher. I can remember thirty years ago when Thatcher contrived a dispute with the dentists, which resulted in them leaving the NHS. She refused to award them a rise in funding, which the dentists claimed was needed because of their use of expensive equipment. As a result, many left the NHS, so that today those unable to pay privately may have great difficulty finding a dentist willing to treat NHS patients. May is doing the same now with doctors. She has to be stopped, before we go back to the conditions of horrifically poor health provision for everyone except the very rich before the establishment of the NHS under Nye Bevan. Mike over at Vox Political has posted a piece commenting on the real reason behind the suspension of John MacDonald, Clement Atlee’s great-nephew, by the ‘Compliance Unit’. They told MacDonald that he’d been suspended because of a piece he put up on the 8th August. The trouble is, he hadn’t put up any post on social media on the 8th of August this year. He had, however, posted up a piece on the 9th, with Cath Atlee, urging everyone to vote for Corbyn as the only surviving relatives of Labour’s greatest prime minister, and one of the very greatest premiers this country has ever produced. The best outcome Labour’s NEC – in charge of the ‘compliance unit’ – can hope for is to restore Mr Macdonald’s vote to the count and issue an apology so grovelingly abject that we’ll all become so distracted by it that we won’t remember what it’s for. Good luck with that, folks! Meanwhile, the rest of us can look forward to the day – not far away – when an inquiry is launched into the activities of this ‘compliance unit’, and action taken over the behaviour of its absurdly-overpaid members. There’s a lot more that can be said about this. Firstly, the meme makes a fair point. It isn’t abusive. If you want a real example of abuse, one of the instances that comes to mind was way back when William Hague was leader of the Tory party, and one of the Labour MPs sneered at him and compared him to a fetus. This shocked many people, and the MP had to apology. That’s abuse. But Cameron has taken away people’s freedoms, gradually, all the while claiming to be protecting democracy, in a manner very much like that recommended by Hitler. Cameron and Nick Clegg passed legislation providing for secret courts from which the press and public are excluded in cases involving national security. In these cases, the accused may not know who his accuser is, or the evidence on which he is being tried, nor even what his crime is. These are all breaches of the fundamental principles of justice laid down in Magna Carta. Even in the Middle Ages, a criminal could only be tried if someone actually stood up in open court to accuse them. There were known malefactors, who the sheriffs, as the crown’s administrator and agent in the shires, had to arrest. Once they had them under lock and key in their dungeons, they then frequently appealed to a member of the public to accuse them of a crime so that they could be properly tried. It’s a peculiar situation when the Middle Ages starts to appear far more just than a piece of modern legislation passed by a supposedly democratic regime. On a related point, one of the fundament principles of justice is that legislation cannot act retrospectively. You cannot arrest someone for doing something before it was made a crime. But this is what the Compliance Unit have done in this case, as in so many others. As Mike has pointed out. Cameron, as part of the Tories’ ongoing attempts to destroy the unions, also wanted to pass legislation compelling strikers on a picket line to give their names to the rozzers. This was condemned as ‘Francoist’ by David Davis, one of the most right-wing of the Tories. Not that it’s particularly different from legislation the Tories briefly passed to stop strike action in the 1970s. Ted Heath also passed a law that would have banned strikes and seen wage claims passed to an industrial court. This was similar to legislation proposed a few years earlier by Barbara Castle in her paper, In Place of Strife. Heath went further, however, and included a clause, that would have allowed the authorities to identify who was responsible for calling the strike. As for the system of labour courts, that was introduced by Mussolini as part of his ‘Charter of Labour’ in Fascist Italy. The revival of similar legislation in supposedly democratic Britain convinced many political theorists that we were seeing the appearance of ‘Fascism with a human face’. That meant, Fascism without the strutting militarism and brutality of the archetypal right-wing dictatorships. And Cameron was also very keen on expanding state surveillance, to keep us all safe from Muslim terrorists, or whoever. Again, very similar to the massive secret police and surveillance in Nazi Germany, Fascist Italy and Franco’s Spain. Nazi Germany justified itself constitutionally as a response to political crisis, such as the attack on Germany by leftists in acts like the Reichstag fire. Every four years or so, Adolf Hitler had to go back to the Reichstag and pass a law stating that the crisis was not over, thus allowing him the constitutional power to go on ruling without the Reichstag for another four years. Again, like Cameron, the Fascist leaders claimed they were doing so to protect the public. So the meme, while undoubtedly emotive, was perfectly justified. Cameron was, and Theresa May is, extremely authoritarian, and determined to chip away hard-won British freedoms in the manner described by Adolf. He’s also like another Nazi in his former profession. Cameron worked in PR, a profession not known for objective truth. Goebbels, Hitler’s ‘Minister for Public Enlightenment’ was a former adman, if I recall correctly. The meme’s fair comment. Also, it’s pretty much to be expected that a politician, who is perceived to be dictatorial will be compared to Adolf Hitler. Just like they were compared to Napoleon before he arose. Such comparisons are so common, that unless they’re very unfair and say something monstrously untrue, they’re hardly worth censure. Those who do tend to make themselves look ridiculous, and furthermore seem to bear out the comparison. And Mike’s right about other members of the Labour party having made similar comparisons. The classic example of such invective was Nye Bevan’s comment that ‘Tories are vermin’. It’s been used against the Labour party from time to time ever since. But that didn’t mean that Bevan didn’t have a right to say it. Bevan was Welsh coalminer, when there was grinding poverty in the Welsh coalfields. The Conservative government under Baldwin called in the British army to shoot strikers during one of the disputes in the 1920s. It might even have been during the 1926 General Strike. Accounts of the strike say that many of the miners were dressed in rags. In a situation like that, when men, who are starving are being shot down for daring to demand a higher wage, Bevan had an absolute right to hate the party that impoverished and killed them with all the venom that he did. Especially as the Tories in the First World War had demanded legislation that, in the words of one right-wing, would allow them to beat the unions like jelly. I also wonder why the Compliance Unit should be so upset about a meme attacking David Cameron. Surely any decent opposition party should be attacking Cameron’s government for its assault on precious British freedoms. But not so those Blairites in the Compliance Unit. Perhaps they’re afraid it’ll bring back memories of similar legislation, also providing for secret courts, introduced by Blair and Jack Straw. Or perhaps they’re afraid it’ll offend all the Tory voters, whose votes they hope to steal by copying everything the Tories do, but promising New Labour will do it all better. Either way, Mike’s right. It’s time the Compliance Unit and its bloated apparatchiks were wound up and investigated for their role in disrupting Labour party democracy and bringing the party into disrepute. Mike today put up a couple of pieces on the latest plans by the Blairites to hold on to power against Jeremy Corbyn and the majority of Labour members. One was to try and resurrect David Miliband as a challenger to Corbyn’s leadership. This is a sick joke, considering how unpopular Miliband was before under the old rules. He’d fare even worse now. And it shows how utterly cynical and manipulative they are about trying to insert him in Jo Cox’s vacant seat as the PLP’s preferred candidate, over the wishes of her constituency. The other plan is a new, internal Labour party group, called Tomorrow’s Labour, which intends to set up an astroturf – fake grassroots movement – against Corbyn using spambots. This is pretty much against the rules of the internet as it is, and make a mockery of their claim to be fully transparent, and compliant with all existing rules. I wonder how far the Blairites’ determination to hang on to power, no matter what the cost, is due to their sociological origins. I was talking to a friend of mine the other week, who remarked on the very middle class backgrounds of the Blairite politicians. Old Labour was largely, though not exclusively, working class. Many of its politicians had come into politics as members of their trades unions. These were people like Ernest Bevan, Nye Bevan, and the veteran Labour left-winger, Dennis Skinner. Obviously, there were even then members of the middle class involved in Socialist politics, like Clement Atlee, Sidney and Beatrice Webb, and the Fabians. This began to change in the 1960s, as the Labour party deliberately set out to attract a more middle class membership, as advocated by Tony Crosland. In order to attract them, it played down and minimised its advocacy of nationalisation. The Labour leader at the time, Hugh Gaitskell, wanted to drop Clause 4, the section of the Labour party’s constitution which advocated nationalisation. He failed. Despite this move to the Right, the Labour party still remained committed to the national ownership of the utilities and certain other important industries, such as mining and steel. Crosland himself was responsible for the introduction of comprehensive schools. Although this has been very loudly decried, the old system of schooling did reinforce class divisions and prevent children from working class backgrounds rising upwards. The party was also committed to a planned economy, something that also went very much against the principles of free marketeers like Milton Friedman and von Hayek. All this went out the window with the 1979 election victory of Thatcher and the continued electoral success of the Conservatives. This convinced the Labour Right to adopt all of her policies – privatisation, the destruction of the NHS as a public service, the dismantlement of the welfare state and increasing criminalisation of the poor. They also turned away from the working class, and concentrated on trying to win votes from middle class voters in marginal constituencies. And the party’s demographics also changed. Many of the New Labour MPs were like Harriet Harman. She’s a millionaire. They tend to be very middle class boys and girls, privately educated, with the advantages that accrue to the members of those classes. They sit on the boards of companies, various quangos and are active in the charities. This is all very well, but it makes me wonder how far the Blairites are motivated by purely ideological convictions, and how much of it comes from instinctive class loyalty? These are people, who have never had to work hard to get into their current position of power. They don’t have much contact with the working class, and apparently share the middle classes’ hatred and fear of them. You can see it in their determination to cut down on welfare benefits for the unemployed and for their support for workfare, as well as the unchallenged belief in the sociological myth of mass pockets of unemployment where nobody in a family has worked for generations. And there’s the instinctive hatred of the privately educated businesspeople for the trade unions. As a rule, the middle classes uncritically accept that they have a privileged place in society, which is theirs by right. A little while ago Secular Talk did a piece, reporting on a study that found that the richer you are, the more likely you are to believe that the existing state of society was just. I don’t doubt that. Now I don’t deny that some of them are genuinely concerned with enlarging democracy through campaigns against racism and for female empowerment. They may also sincerely believe in Thatcher’s twaddle about making conditions worse for people in order to encourage them to try to rise above their station. But they do so through the middle class assumptions they have inherited as part of their background, including their belief that they have an innate right to rule. This might not be articulated or even conscious, but it seems to be there. Hence the determination to hang on to power whatever the cost, the wild, stupid denunciations of Corbyn’s supporters as hippy Trots wearing donkey jackets. The great unwashed are trying to take their party back after good, Blairite middle class types have tried to make it respectable. How dare they! And so we come to their attempts to clean out Corbyn’s supporters through denying them a voice, in order to retain their middle class supporters and appeal to a middle class electorate. Someone once said that patriotism was the last refuge of the scoundrel. And someone else declared that patriotism was the position of the man, who had nothing else to say. Corbyn is massively more popular than Smudger, and so Smiffy is revealed for what he is – an empty politico sniping at his rival from a last, desperate fallback position, trying to bang the nationalist drum to oust someone, who is both more popular and who has much more substance politically. Mike also points out that it’s not fair on Corbyn to claim that he’s unpatriotic, and includes a meme to show how patriotic he is. This is through real, substantial policies that will make a positive difference to the welfare of the country and its great peoples. It is not through empty gestures, like grovelling deference to the monarchy, or standing with your shoulders back, and your tie straight to sing the national anthem, as the departing, unlamented former occupant of No 10 told him. Corbyn wants UK utilities to be owned by the British people through the British state. This is patriotic. Profits made in the UK, should be taxed for the benefit of the British people. Patriotic. British men and women should not be sent to fight in illegal wars. Hence his opposition to the bombing of Syria. This is, again, patriotic. It shows a concern for Britain’s children, her sons and daughters, who have to do the duty of fighting and dying. It is also patriotic in the sense that it is concerned with upholding morality and the British tradition of fair play. He believes in protecting British Steel. Patriotic. He does not want British companies to be taken over by US or other foreign firms. Patriotic. He wants to stop the privatisation of the NHS, so that it is run for the benefit of British patients, not US corporations. Very patriotic. And lastly, he feels that British trade should benefit us Brits, so he will veto the TTIP. Again, patriotic. Jeremy Corbyn is thus, in terms of policy, far more patriotic than the Right. Thanks to Thatcherite neoliberalism and the craze for foreign investment, our utilities are in the hands of foreign countries, as is much of our industry, including the City of London, so dear to the heart of Thatcher, Cameron and the rest of the Tories, including Tony Blair and New Labour. Cameron wanted British nuclear power stations built by the Chinese, as well as new roads. The privatisation of the health service carried out by Blair and Cameron has been at the behest and benefit of American firms such as Unum and Kaiser Medical. Atos, who administered the work capability assessment, was French. Maximus, who have replaced them, are American. And the mega rich, who make their profits over here, are squirreling them all away offshore in places like the Cayman Islands or Luxemburg. By this standard, the neoliberal administrations Smiffy admires – Thatcher, Major, Blair and Cameron, are definitely unpatriotic. In fact, downright treasonous. But they got away with it because, following Thatcher, the Tory party became the Patriotic Party. You couldn’t get away from her and her chorus of sycophants yakking about patriotism. She was bolstered in this through her use of the symbolism surrounding Winston Churchill, the Second World War, and indeed through her unrestrained militarism. She had to be patriotic, ’cause we won the Falklands War. Well, just about, thanks to the Americans and Chileans. See, there’s another invocation of Winston Churchill, the great war leader and iconographic figure of British patriotism and pluck under foreign aggression. And then there was all the images of Spitfires racing across the skies in the 1987 general election. This was so blatant that Alan Coren dubbed it ‘the Royal Conservative Airforce’ on the News Quiz on Radio 4. And even there, Thatcher’s patriotism was much less than it seemed. She sold off Westland Helicopters here in the West Country to the Americans. She made massive cuts to the armed forces. The Falklands War was partly caused by the ship defending the islands being recalled by her defence minister, John Nott. The Argentinians seized their chance, and invaded. Then there were the celebrations in the Tory right over 1992, and the closer integration with Europe that came about in that year. That was being celebrated and anticipated even under Thatcher. I can remember that in the late 1980s, a wine bar opened on the Promenade in Cheltenham with that very date as its name: 1992. Denis Skinner in his autobiography makes the point that Thatcher was far less Eurosceptic than she appeared to be. Skinner also supports us leaving the European Union, but for left-wing reasons, rather than those of the ‘turbo-charged’ Tories, Nigel Farage and the rest of UKIP. He points out that while she constantly wrangled with them over our contribution to the EU budget, she never actually threatened to leave. And it was Ted Heath, who took us in. And then in the 1990s there was all the fuss about ‘globalisation’, which meant that capital became international, and the nation state was to be gradually dissolved as more companies established themselves around the world. So by the standards of economic policies and the practical effects of their ideologies, the Tories weren’t patriots. They advocated selling Britain and its people off to whoever would give them money. They convinced millions of impressionable voters that they were doing the opposite through manipulating the pageantry of the monarchy and the iconography of the Second World War. But let’s examine the wider problems of Smiffy’s criticism of Corbyn’s alleged indifference to ‘patriotism’. Firstly, a supposed ‘liberal’, ‘left-wing’ indifference to patriotism and nationalism is very much a part of the Labour tradition. Or at least, parts of it. In line with the rest of the European Socialist parties, many members of the Labour party opposed the wars between European powers in the 19th century, because it was felt – and not just by Marxists – that the working class of all nations had more in common with each other than with their rulers in the middle and upper classes. Socialists from all over Europe objected to the prospect of a war in Europe, because they felt that it would be carried out for the profit of the industrialists and the feudal aristocracy. This was shattered when the First World War broke out, and most of the Socialist parties showed themselves only too eager to vote war credits in support of the conflagration. But individual Socialists, including members of the Labour party, did protest against it, along with their counterparts in France and the German SPD. Looking along the magazine racks in the newsagents in Bristol’s Temple Meads Station last Friday, I found among the current affairs magazines the New Internationalist. I can remember copies of that lying around my sixth form common room when I was at school. From what I remember, it’s another left-liberal magazine devoted to international social justice, particularly in the Developing Nations. Back in the 1980s, it was firmly behind the Greenham Women. I also seem to recall one of Paul Weller’s songs having the refrain, ‘Internationalists’, although I can’t remember which one. British patriotism has also been intimately connected to imperialism. From the 19th century one of the holidays celebrated was ‘Empire Day’. David Dimbleby in one edition of his art history series, The Seven Ages of Britain, dug out a Victorian children’s book called, The ABC for Baby Patriots. Under ‘E’, the book had ‘Empire’, for wherever the British citizen went, they would be safe and free. Except for the indigenes, who were expected to work for us. While that book expressed the attitude of the imperialists, the Labour Party in the 1920s passed resolutions committing itself to giving the colonies their independence. I even found it discussed in the autobiography of another Labour politician from that period, called Benn, though I don’t know if there was a connection to Tony. This particular Benn made it very clear he stood for granting the peoples of the British Empire the right to run their own countries. And George Orwell came to Socialism through his hatred of imperialism. Smiffy also claims that working class patriotism is often socially conservative. He’s right, which is why so many left-wingers have been intensely suspicious of it. The national symbols it embraces are those of the ruling classes, such as the monarchy, the stately homes of the rich and powerful, and so forth. In the 1960s there was considerable controversy over a history programme called The World We Have Lost. Or rather, over its title. Some historians objected to it because it expressed a nostalgic support for the good old days of aristocratic rule, when proles and tradesmen knew their place. This kind of patriotism is bound up with Michael Gove’s view of history – that it should all be very Conservative, patriotic, and reinforce Tory values. And what really worries left-wingers is the racism that can lurk underneath this kind of patriotism. Alf Garnett was a parody of working class Conservatives, people with dirty, broken windows, living in poverty, for whom the Tories had done absolutely nothing, but nevertheless doggedly supported them. As well as generally reactionary and ignorant, Garnett was virulently racist. Johnny Speight, the writer, intended the character to show up and lampoon that aspect of Conservativism. But he was dismayed by the failure of many viewers to see the joke, and there were all too many ready to agree with him about non-White immigration. London is a multicultural world city, far more so than much of the rest of the country, although many cities nevertheless may have sizable populations of ethnic minorities. I feel uneasy when Smudger attacks Corbyn for being ‘too metropolitan’, because it suggests that he thinks Labour should reflect the growing racism and xenophobia of the Brexit campaign. One of the criticisms the political scientist Guy Standing makes of New Labour in his book, A Precariat Charter, is that they did try to harness the growing resentment of immigrants by pushing policies that increasingly denied them their rights, such as to welfare benefits and employment legislation. Smudger’s a New Labour neoliberal, and it seems to me that with his attack on Corbyn for his ‘metropolitan’ attitudes to patriotism, there’s a concealed racism and determinism to inflict more precarity on refugees and asylum seekers, the poorest and most vulnerable in our society. But patriotism can also include left-wing elements, which would no doubt also horrify Smiff. If you think of Wales, for example, there’s not only Owen Glendower, and medieval Welsh kings like Hywel Dda, there’s also the images of working class radicalism – the Welsh miners, and their leaders like Nye Bevan. Scotland has Red Clydeside, Devon in England the Tolpuddle Martyrs, without forgetting the Yorkshire Miners. These are also part of British nationalism and national identity, along with heroes like Tom Paine, Thomas Spence, Keir Hardie, Feargus O’Connor and the Chartists, and other heroes and heroines of working and lower middle class history. The British folk revival of the 1950s was inspired by Black American blues music, much of which had been collected by researchers as part of F.D. Roosevelt’s New Deal. British musicians and musicologists began exploring their own traditional music, to find the traditional British counterparts to this American working class music. And it exists. Paine’s The Rights of Man was celebrated in song in the 18th century, and it can be found in sheet music even now. Thomas Spence and the Chartists also composed songs to put their message across. Chumbawumba did a version of at least one of these songs a little while ago. It’s on the Net, if you care to look. This is all part of our national identity and culture, but one which I suspect Smiffy isn’t easy with, and which Thatcher and the Tories positively wanted to suppress or dismiss. But these heroes and heroines did inspire Clement Atlee’s Labour party, when they one the 1945 election, and introduced the welfare state. Smith’s comments about Jeremy Corbyn and patriotism are therefore both wrong, and potentially dangerous. Corbyn is patriotic in the matter that counts – doing your political duty to improve the lives of one’s fellow citizens. Thatcher and the neoliberals betrayed the British people, plunging them into poverty and selling off Britain, all while maintaining the illusion of British imperial power, and maintaining and expanding their class privileges. And Britain also has a rich, working class traditional culture, that also forms part of our national identity, in opposition to the approved culture promoted by Gove. And when Labour members and supporters were critical and uncomfortable with nationalism and patriotism, it’s because it all too often leads to imperialism and racism. A racism that it seems Smudger would like to harness once again, as part of New Labour policy. A few years ago, Lobster published a unique and fascinating article by a southern Irish Roman Catholic Ulster Unionist. This particular contributor wanted working class radicals from both the Roman Catholic and Protestant communities to unite to do something positive for the working people of Northern Ireland as a whole, regardless of their faith or national loyalties. The piece also criticised Tony Blair for embracing the politics of culture. The author explained that this was dangerous, because in Ireland it usually meant there was a man with a gun behind it. It was a danger then, and I don’t think the danger has disappeared in the decade or so since that piece was written. And it shows how dangerous nationalism and patriotism can be at their most extreme.